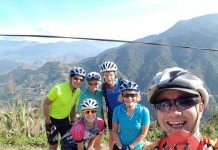 Mountain bikes are the perfect way to discover the adventurous spirit of North Thailand, a region of jungle filled valleys, mountain-top temples, meandering rivers, and plenty of opportunities for cultural encounters. Over the centuries many ancient tribes migrated into Thailand from Burma and China to escape oppression in their homelands. As they prefer to live above 1,000 m these hill tribes naturally settled into the mountains that run between Chiang Rai and Chiang Mai. The Karen, Lahu, Hmong, Lisu, Akha and Mien have largely preserved their traditional ways and over the years have created elaborate trails that lead from village to village that are perfect for mountain biking. As we follow these single-track and jeep width trails we will come across the colourful tribes and soon will be able to distinguish one from the other by their dress, spiritual beliefs and architecture. We meet in the afternoon to brief everyone thoroughly and make sure the bikes fit. 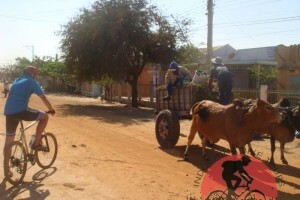 Then, we take a nice easy ride through the outskirts of the city, to get accustomed to riding in Thailand. After a short transfer to the base of Doi Mae Salong we’ll start riding, up, through the forest. 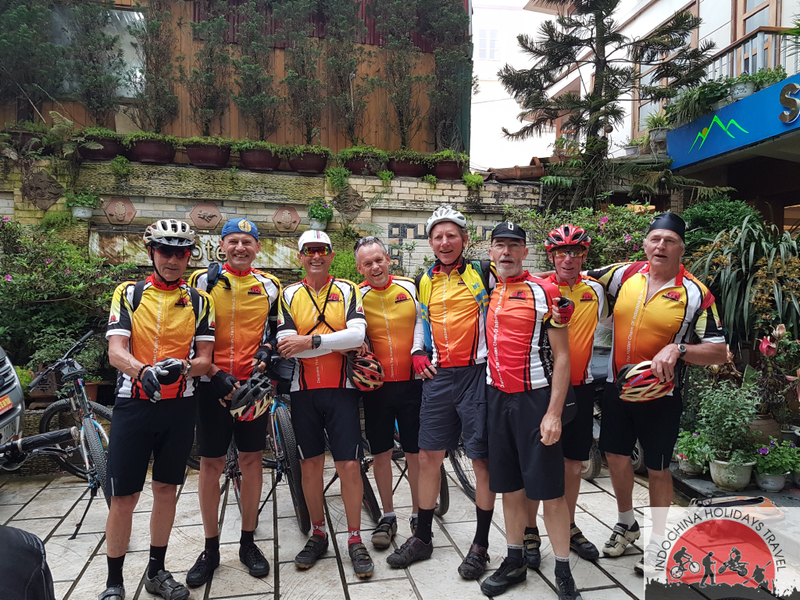 We then hit tarmac, ride past wild poinsettas and arrive in Mae Salong, an ethnic Chinese village, for lunch and a tea tasting. We stay in a resort where the afternoon is free to laze by the pool or explore the surrounding countryside. 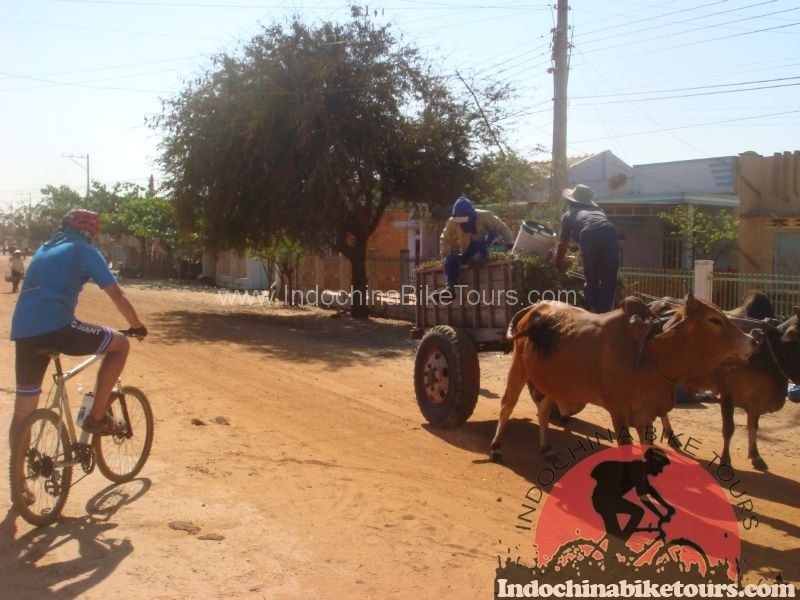 We transfer south of Mae Chan and start riding on gentle undulating terrain along the base of a mountain range. Dirt roads and single track will lead us to a waterfall where we’ll have time for a dip and lunch. We then ride down to the Mae Kok River before a transfer to Chiang Rai. 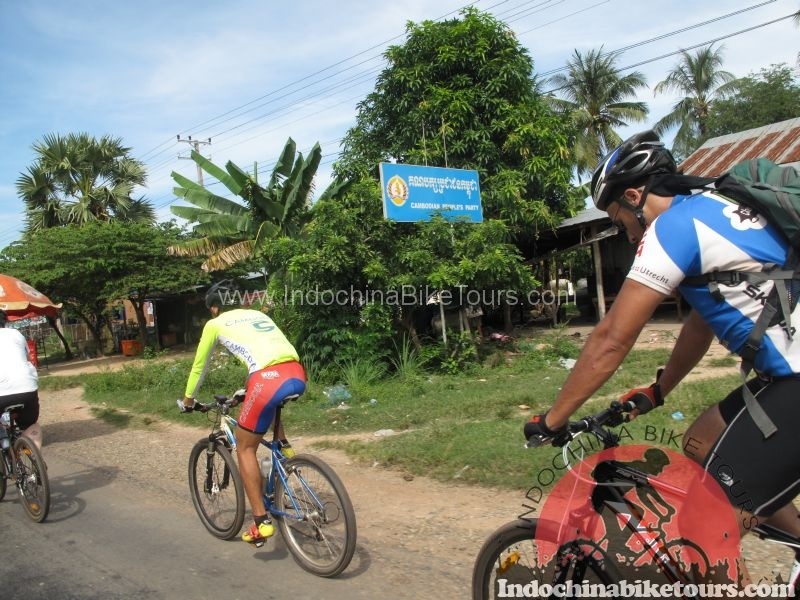 Today we ride to Mae Salak one of the most scenic routes on the trip and a real pleasure to ride. The undulating dirt road follows the Mae Kok River as we ride towards Mae Salak, a small town that has an excellent resort complete with pool. Today is an easy recovery day. 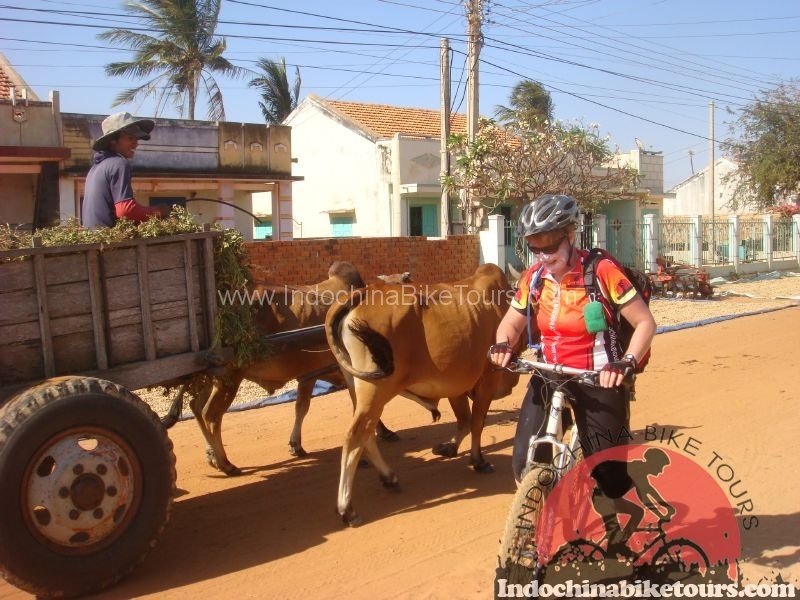 We cycle 40 km on beautiful country roads taking in river views, stark mountain back drops and emerald green rice paddies.Day 6Today we ride through rice fields and among soaring limestone cliffs before hitting the dirt. 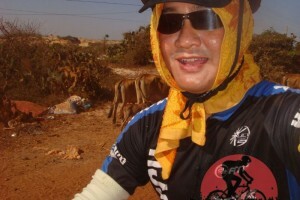 We ride dirt roads cut by local hill tribes. We have an early morning departure for a tough but rewarding days riding up and into the mountains. Then we can look forward to spectacular scenery on the way up and plenty of rest stops to refuel and take it all in. Today we see some fantastic views and long flowing downhills, some technical sections and a few more ups to keep the heart pumping and the lungs burning. Then we finish off with an undulating dirt road ride along the river. 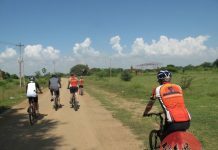 We will embark on a great days riding covering about 45 km with some hills and lengthy fantastic undulating single track. There’ll also be time for a dip in a waterfall and we’ll finish with a long enjoyable downhill that takes us down to our host village and our hill tribe accommodation for the night. For a change we jump onÂ bamboo rafts for a morning on the river you will never forget. Float downstream on the clean Mae Taeng river passing working elephant camps, bamboo spear fisherman and some exciting rapids that will test your best rafting skills. 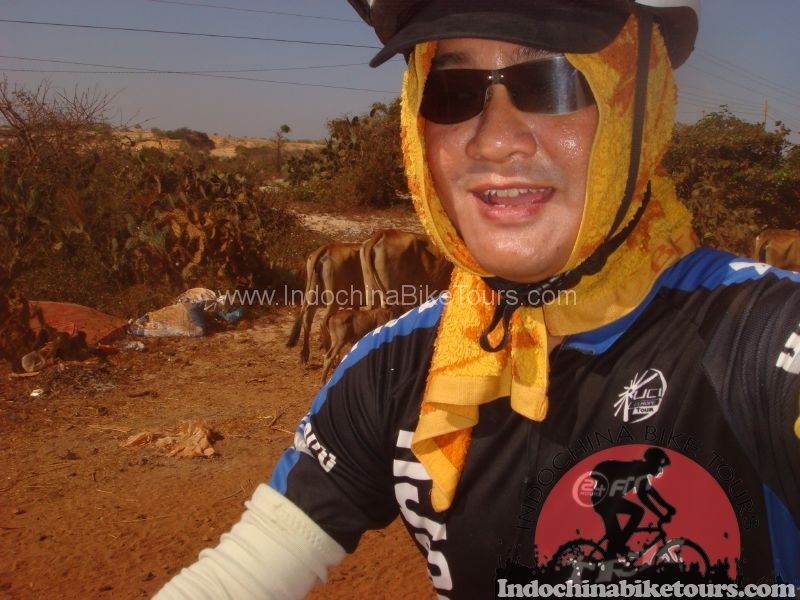 We finish the day with a short ride through the rich fertile farmland in the foothills of Mae Taeng. 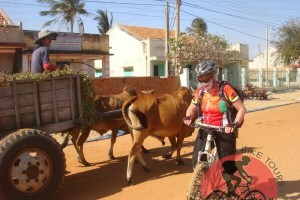 This morning take a steam bath, have a massage or go for a ox-cart ride to the orchards. 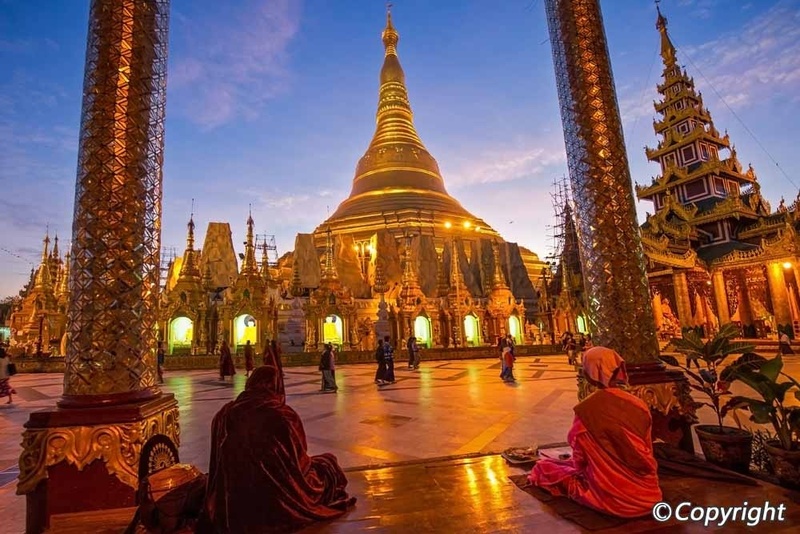 Once you have indulged in an activity we’ll transfer back to Chiang Mai.